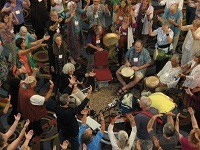 From the beginning of time, sacred movement, song and story have brought people together, at times of seasonal ceremony and celebration - as part of everyday life and life passages, in daily renewal and meditation. The Dances of Universal Peace are part of this timeless tradition of sacred movement, song and story. 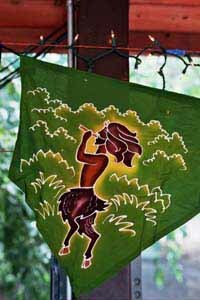 The Dances of Universal Peace are simple, meditative, joyous, multi-cultural circle dances that use sacred phrases, chants, music and movements from the many spiritual traditions of the earth to touch the spiritual essence within ourselves and recognize it in others. Building on the work begun by Samuel L. Lewis in the 1960s, they promote peace and integration within individuals and understanding and connection within groups worldwide. There are no performers nor audience: new arrivals and old hands form the circle as everyone sings and dances together. The Dances of Universal Peace were first presented to the world in the late 1960's by Samuel L. Lewis (1896-1971), a Sufi Murshid (teacher) and Rinzai Zen Master, who also studied deeply in the mystical traditions of Hinduism, Judaism, and Christianity. 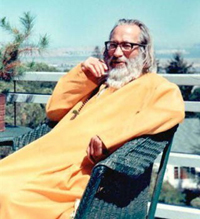 Lewis was deeply influenced by his contact and spiritual apprenticeship with two people: Hazrat Inayat Khan, who first brought the message of universal Sufism to the West in 1910, and Ruth St. Denis, a feminist pioneer in the modern dance movement in America and Europe. From his rich life experiences, Lewis, then in his early 70's, began to envision and create the Dances and the associated walking practices, as a dynamic method to promote "Peace through the Arts." Since those early days with Murshid SAM's original 50 or so dances, the collection has grown after his passing to more than 500 dances which celebrate the sacred heart of Hinduism, Buddhism, Zoroastrianism, Sikhism, Judaism, Christianity, Islam, as well as the Aramaic, Native American, Native Middle Eastern, Celtic, Native African, and Goddess traditions. "Sam hears that his dances are now spreading like wildfire. He has no monopoly and no copyright... Heart calls to heart and soul to soul." Since their beginning, the Dances have spread throughout the world, touching more than a half million people in North and South America, Europe, the former Soviet Union, Japan, India, Pakistan, Israel, Australia, Africa and New Zealand. New grass-roots Dance circles are continually springing up around the globe, with about 200 circles meeting weekly or monthly in North America alone. In addition to the Dance circles that meet regularly, the Dances of Universal Peace continue to evolve and expand to more areas: these Dances are led in schools, spiritual centers, churches, therapy groups, prisons, hospice houses, drug rehabilitation centers, homes for the developmentally disabled, retirement villages, holistic health centers, psychological conventions, weddings, other personal celebrations, peace gatherings and ecumenical worship celebrations. They have been presented at the Olympics, the World Parliament of Religions, and other ecumenical gatherings and conferences around the world. The Mentors Guild, with spiritual guidance from Pir Shabda Kahn, serves to guide the development and growth of dance leaders and to steward the transmission of the rich legacy Murshid Samuel Lewis left to the world. Samuel Lewis believed that when people “eat, dance and pray together,” the world finds peace. 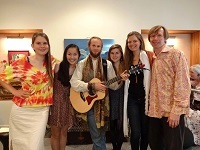 The Dances continue to be, as Samuel Lewis envisioned them, a way to make life-energy and deep peace a reality for all who come in contact with them, and to bring a joyous spiritual center to those who commit to deepening in them.